Everest Luxury Trek allows everyone to go to Everest region and get once in a lifetime experience of seeing Everest and observing the beautiful culture of Sherpa people. The highlight of this trek is tour of Namche, the capital of Khumbu and hike up to Thyangboche monastery, the biggest Buddhist monastery in the Himalayas. During your entire trip in Everest Luxury Trek, you will be provided first class accommodation in the finest resorts available. Overnight at Yeti Mountain Home, Namche Bazar. 09:30 am: Arrive in Benker (2710m). From Bengkar, you can see the view of Thamserku(6618m) on front right. Continue the trek to Monjo (2840m) for 1 hour. 11.30 am: Start the trek after lunch to Hillary Bridge for 40 minutes. 12.10 pm: Arrive at Hillary Bridge and start the uphill trek to Namche (3440m). This will test your fitness. 03.00 pm: Arrive in Namche Bazar(3440 m). Check in hotel, Enjoy the scenic Namche Bazar and splendid view of Kongde(on front), Kusumkhan and Thamserku(at back). Overnight in Namche. 08.00 am: Start the trek after breakfast to Kyagjuma(3570m) and continue the trek to Sanasa(3650m) for 1.3 hours walk. You can have option of other trekking destination from Sanasa(3650m). But, we continue our treks to PhunkiTenga(3250m). 09.30 am: Arrive in Sanasa. We continue downhill trek to PhunkiTenga(3250m) for one hour. 10.30 am: Arrive in PhunkiTenga(3250m) and lunch break. 11.00 am: Start the uptill trek to Tengbuche Monastery(3860m) for 3 hrs. 02.00 pm: Arrive in Tengbuche Monastery(3860m) and overnight. NOTE: You can see the beautiful views of Everest (8448m), Nuptse, AmaDhablam and many more. Dinner at hotel. Highlights: Amazing view of Mountains and Sherpas’ villages. 08.00 am: After breakfast, start trek to Shomare(4070m) for 1 hour. 09.00 am: Arrive Shomare and continue the downhill trek to Pangboche(3930m) for 30 minutes. 09.30 am: Arrive in Pangboche and continue the trek to Deboche(3770m) for 45 minutes. 10.30 am: Arrive in Deboche and continue the trek to Tengboche(3860m) for 30 minutes. 11.00 am: Arrive in Tengboche and continue the trek to Namche Bazar. 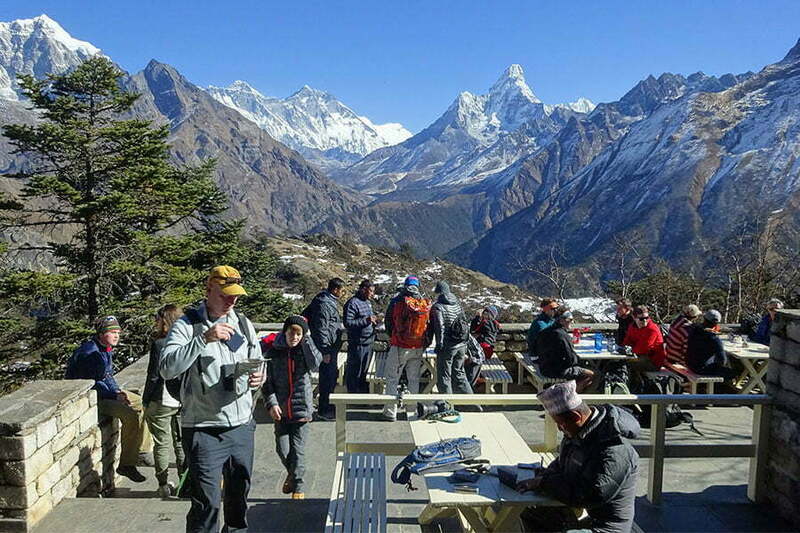 01.30 pm: Arrive in Namche Bazar and have your lunch at Yeti Mountain Home. 02.30 pm: Start the downhill trek after Lunch to Hillary Bridge for ONE hour. 03.30 pm: Arrive in Hillary Bridge and continue trek to Jorsale(2810m) for 30 minutes. 04.00 pm: Arrive in Jorsale (2810m) and continue the trek to Monjo(2840m) for 30 minutes. 04.30 pm: Arrive in Manjo and overnight at Yeti Mountain Home. NOTE: Dinner at the hotel. 08.00 am: After breakfast start trek to Lukla. 10.15 am: Arrive in Phakding(2610m) and continue trek to Lukla. 11.15 am: Arrive in Ghat (2590m) and continue the trek to Chheplung(2660m) for 30 minutes. 09.00 am: Pick up from Kathmandu Airport and drive to hotel your hotel. 09.30 am: Arrive in your hotel, check in. Breakfast at Hotel. Free and easy all day. Accommodations x 5 nights in the mountains. 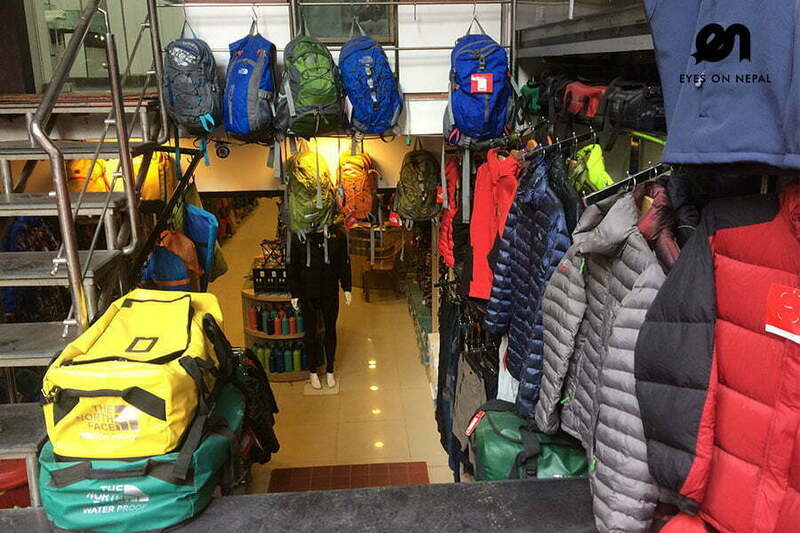 NOTE: We are using the most luxury resorts in Everest region, visit: http://www.yetimountainhome.com/ for more information. *** Pick up from your hotel and transfer to Airport on day 1. *** flight tickets to Kathmandu on day 6th. *** Pick up and transfer to hotel on day 6th. Tipping (Suggesting at least 150 USD per staff).